This camp is a unique opportunity for pitchers to study the art of pitching the Tiger way. Pitchers will learn about visualization, advanced warm-up, throwing progression routine, high-level bullpens, proper arm care maintenance, conditioning program, and PFP's. 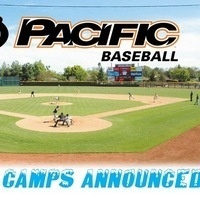 For catchers, this is an advanced catching camp which is run in conjunction with the Pitching Camp. Players will be run through many advanced drills focusing on receiving, blocking, throwing, and what it takes mentally to be an advanced catcher. For more information or to sign up for any of the camps, please click the link at right.